You asked for more digital purchasing options and we’re answering. Starting this month, we’re giving you more ways than ever to get the content you want most on Xbox 360 and Xbox One. I’m excited to share that soon you will be able to purchase digital download codes for select games and add-ons at participating retailers in the U.S. and UK. This is an additional option to the gift cards already available at retail. Of course, you will still be able to purchase game add-ons and digital games from anywhere via Xbox.com or on your console via the Xbox Games Store. 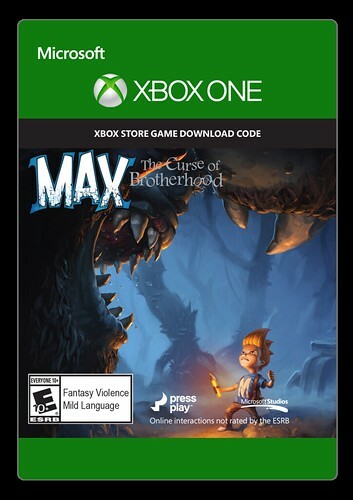 We’re kicking this off with digital download codes for select map and expansion packs for franchises like Halo and Forza, as well as fan favorite digital games including Max: Curse of Brotherhood and State of Decay. We look forward to adding more digital codes in the future from other publishers and in more countries in the coming months. After you purchase the code at a participating retailer, it’s easy to redeem the code on your Xbox One or Xbox 360 console or via Xbox.com. For step-by-step instructions on redeeming a prepaid code, visit Xbox Support.